A group of Rebel starfighters go head-to-head with a Star Destroyer in the Battle of Endor! After the announcement last year that all Star Wars storytelling would be canonized moving forward, Star Wars Insider immediately published Blade Squadron Part 1 in issue #149, focusing on a squad of Rebel pilots that fought in the Battle of Endor. The story can be read below. The conclusion will be on StarWars.com early next month and a new chapter of Blade Squadron will be featured in Star Wars Insider #160. Gina Moonsong popped her cockpit hatch and slid down the ladder onto the flight deck. She yanked off her helmet to reveal the red buzz-cut she’d had ever since Dantooine, and wiped the sweat from her olive skin. Before she could hand off the flight log to the crew chief, the booming baritone of the deputy wing leader’s voice echoed through the hangar. Moonsong froze and saluted, the ghost of a smile hovering just short of insubordination as Lieutenant Braylen Stramm pushed his dark brown face right up to hers. 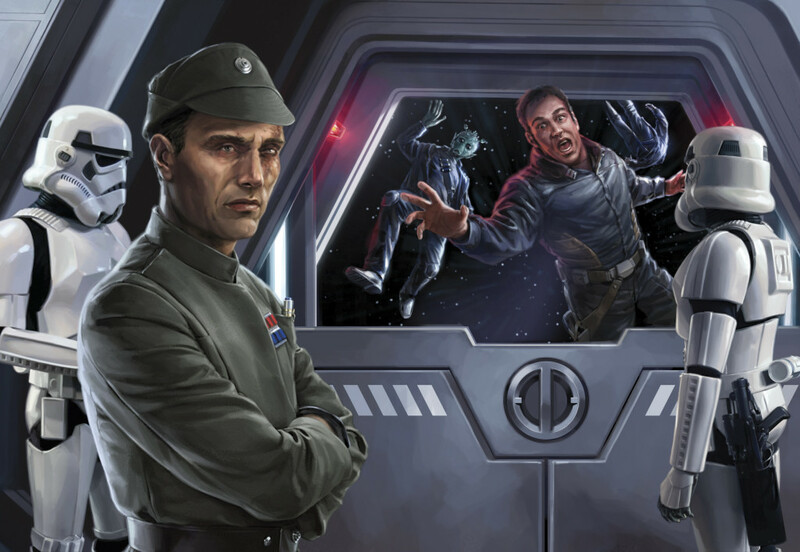 He looked about as annoyed as any officer would who had just watched a vital training exercise go bust–all the more so when the order to advance on the Imperial Fleet might come down any day. Moonsong hesitated as pilots exited the ships all around her. The expressions on their faces ranged from annoyance–the outsider was causing trouble again?–to professional interest: How was their by-the-book commander going to handle the latest infraction by the squadron’s problem child? She met Stramm’s eyes, and grinned. Wing Commander Adon Fox strode over to them both. Rotund and red-faced, he made up for his lack of warrior physique with reflexes and mental agility. He was known across the fleet as a first-rate leader of pilots. Yet right now it was all he could do to keep them from killing each other. “I don’t think she understands at all,” Stramm muttered. “Enough, Cadet. We have our orders. Dismissed.” Fox turned on his heels, and strode off the flight deck. He had mixed emotions that the squadron wouldn’t be going into the kill-zone. On the one hand, he longed to strike a blow at the Empire. But (much as he hated to admit it) the squadron just wasn’t ready. And as for Stramm–he meant well, but frankly he was trying way too hard. Which was to be expected; Stramm was a former Imperial Naval officer who was used to strict discipline and the chain of command. What he needed to realize was that the Alliance did not have the same resources to train its pilots. Most of them had never flown a snubfighter before in their lives. Hell, most of the new flight cadets were from backwater worlds with little to no military experience. Case in point, one Gina Moonsong. Like so many others who flocked to the Rebellion, she had no formal training and had learned to fly on smuggling routes off Coruscant. Moonsong might have a standing aversion to rules and regulations, but there was no denying she was an amazing pilot. Certainly better than himself, maybe almost as good as Wedge Antilles. Fox couldn’t help but smile as he considered the true reason for the friction between the two pilots. They thought they had been so careful, but Fox was nothing if not perceptive, and had seen chemistry flare between them from the moment they first laid eyes on each other. Whether or not they had taken things any further than that–well, it was none of his business. Relationships with subordinates were unheard of in the Imperial Navy, but matters were a little more lenient in the midst of the Rebellion, where there were no such restrictions beyond what wing commanders were willing to put up with. And not only did Fox have bigger things to worry about, he wasn’t about to invoke a double standard. Everybody on the squadron grapevine knew how smuggler captains were cavorting around with princesses, and if anything the Rebellion was the stronger for it. Illicit relationships in his squadron weren’t Fox’s problem; training was. His people were still green. Still scared. He’d been the same, not too long ago. When the Battle of Hoth began, he’d had less than one hundred hours of flight time and yet they expected him to help run the blockade with his X-wing. It looked like a suicide mission but he’d somehow soldiered on, and survived. What he hadn’t counted on was his wife’s transport being destroyed by the Star Destroyer blockade as it took off. But after that, Fox wasn’t afraid anymore. He didn’t feel much of anything these days, truth be told. And he was fine with that. He lay down on his bunk, knowing that there was no way he’d get any sleep before the operation tomorrow. He knew exactly where his dreams were liable to venture, and figured no dreams at all was better than dealing with ghosts of the past. He’d brewed himself some coffee, and settled down with schematics of B-wings, X-wings, TIE fighters and Star Destroyers. Not to mention the original Death Star. He’d gone over all the accounts of the Battle of Yavin–focusing in particular on the ship logs of Antilles and Skywalker. They’d accomplished the impossible, but even they hadn’t had to contend with capital ships guarding the station. 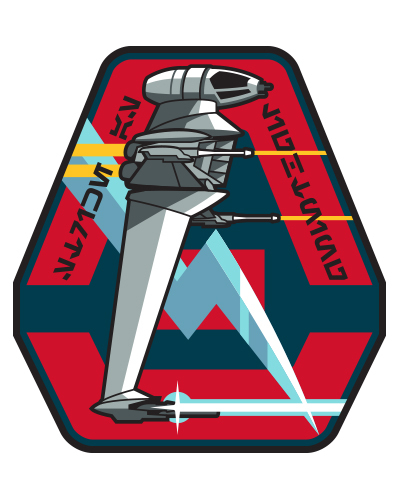 Stramm knew that this time around the Imperial Navy wouldn’t be as lax, especially since the station was far from operational. He knew the Imperial logic, of course–knew it first hand. They’d have at least a few Star Destroyers on guard, and would probably employ a lot of TIE fighters as long-range pickets. Admiral Ackbar’s plan of popping out of hyperspace as close to the Death Star as possible seemed like the only available course of action but the thought of doing so twisted Stramm’s stomach into knots. It wasn’t death he feared, though. It was failure. His faith in the Rebellion wasn’t exactly boundless; he hadn’t joined up because he thought they would win. It was just that he was tired of fighting for an oppressive force–of putting his boot on the throat of provincials whose only crime wasn’t kowtowing quickly enough. It had been only a year since he deserted his post in the Imperial garrison on Naboo and made his way into the Outer Rim to join the Alliance. He’d finally snapped, figuring it was better to die fighting tyranny than continuing as its willing servant. And right now it looked like he was finally going to get his wish. The door chime broke his concentration. Stramm was more than a little surprised when he opened it to find Moonsong standing there. Her emerald eyes shone above a strange half-smile. He took her by the arm, pulled her into his quarters. “Did anybody see you coming?” he asked. “I want to apologize,” she said. That made her laugh out loud. “What’s so funny?” he demanded. He grinned at that, drew her to him. Admiral Jhared Montferrat was getting annoyed at all the screaming. It wasn’t a noise one usually heard aboard the Devastator. His crew was the best there was, and they took a justified pride in their ship’s unique legacy. And right now, that pride couldn’t be greater. After months of raiding rebel commerce, the ship was rejoining Vader and his fleet at Endor. The final battle of the war might be in the offing, and that meant that there really wasn’t time for distractions. So when the Devastator happened to capture some suspected smugglers on the way into the system, Montferrat’s orders were as simple as they were harsh. Which meant there was a lot of screaming. Montferrat regarded the four shackled men with his single gray eye. He’d heard enough of their desperate protests about how they weren’t rebel spies. Certainly there was the faint possibility that they might be telling the truth about being traders, but ultimately it made no difference. Montferrat had found over his many years of command that it was best to keep a crew focused on their mission. That was one of the many lessons he had learned back in the days when the Devastator served as Darth Vader’s personal flagship. A focused crew was a crew less likely to make mistakes, and Montferrat believed in dealing with failures swiftly and definitively. So an opportunity to demonstrate the penalty for transgressions was always welcome. 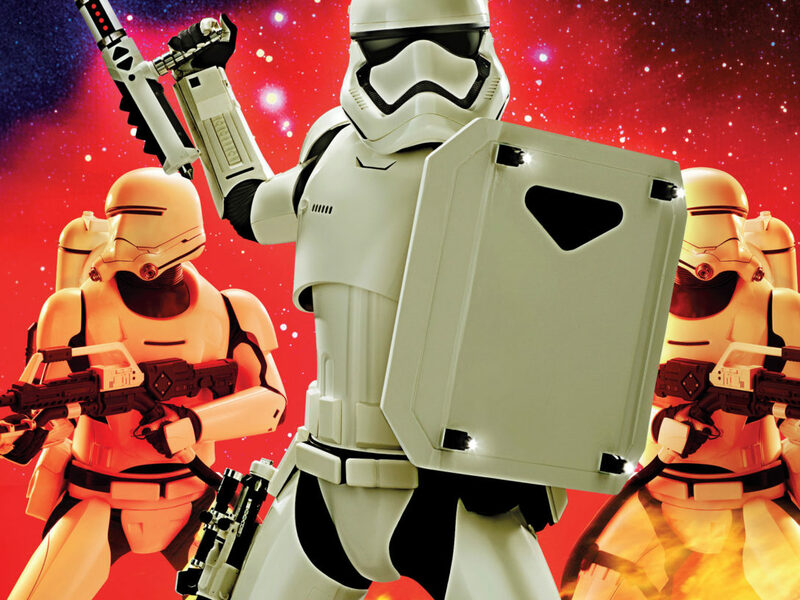 He gave the stormtroopers a curt nod; they slammed the airlock door, cutting off the screams. One of the smugglers began banging on the window, but Montferrat didn’t bother to look. He hoped if his day ever came, he’d meet it with more dignity than the men he was dispatching. The stormtroopers cycled the airlock and the banging stopped. The sergeant stepped forward. “Set it adrift and let the gun crews use it for target practice. Score the drill and let me know if any gun crew fails to achieve one hundred percent.” Without waiting for a response, Montferrat turned on his heels and headed back toward the command deck. He took the long way there, of course. He always walked the decks before a big operation; he liked to let the officers and crew know that he was watching their every move. That was one more thing Lord Vader had taught him. 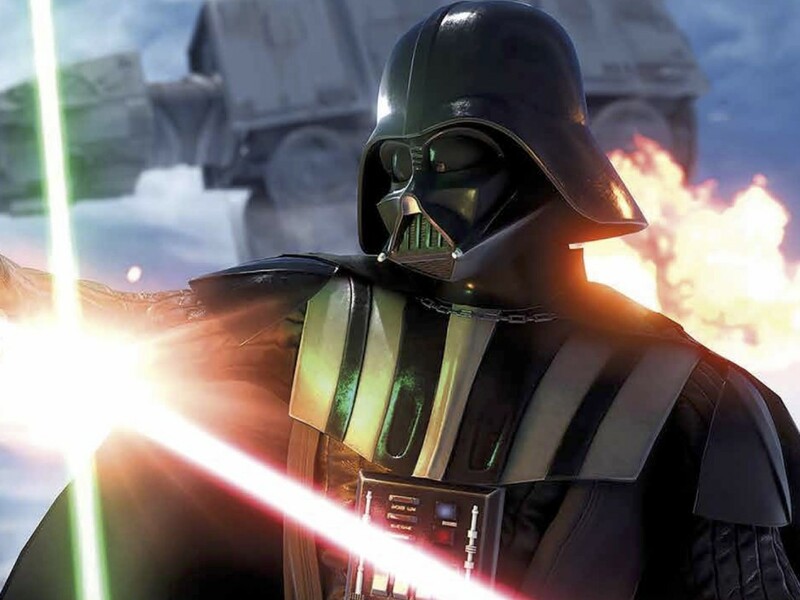 Truth to tell, he didn’t expect much in the way of action in the upcoming operation; there was no way the surprised rebels would be able to withstand the awesome display of power the Emperor had amassed to put an end to their seditious nonsense once and for all. Even so, his analytical mind had gone over the mission details time and time again, and he intended to carry them out to the letter. 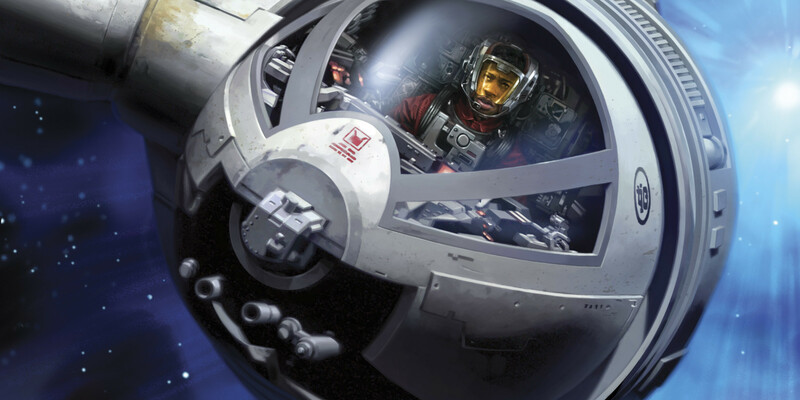 Montferrat arrived on the bridge to find Commander Gradd wearing his immaculate flight suit. There was no question that Gradd was one of the best TIE fighter pilots in the whole fleet, but Monferrat found his ostentatious nature to be a continual source of annoyance. He cleared his throat. “Spare me, commander. After the battle is won I am sure there will be time enough for appropriate congratulations. Dismissed.” The fighter ace headed toward the bridge exit. Somehow his ego wasn’t too large for him to get through the door, but in his wake Montferrat was quietly seething. No one would have dared question Vader’s orders when he was running this ship. Montferrrat could testify personally to that, having seen Vader choke more than one hapless Imperial officer in front of his own eyes. Montferrat had lived in daily fear of that deadly grip when he was subordinate to Vader on board the Devastator–and had (though he would never have admitted it to himself) been more than a little relieved when Vader transferred his flag to the Executor. Not that Vader needed to be on the same ship to exact punishment. And anyway, the Executor was visible on the screens right now–an impossibly vast vessel, the Star Destroyers arrayed it like minnows to a shark. Looking at the new flagship, Montferrat half-wished that Vader had taken him as an officer to serve on the Executor’s bridge. But he knew such thoughts were foolish. Montferrat was caretaker of a vital legacy–a sacred trust. The Devastator had witnessed historic battles–it had served on the blockade at Hoth, and it had even once captured the Princess Leia Organa. Who knows, maybe it would have another chance against her in the coming battle. 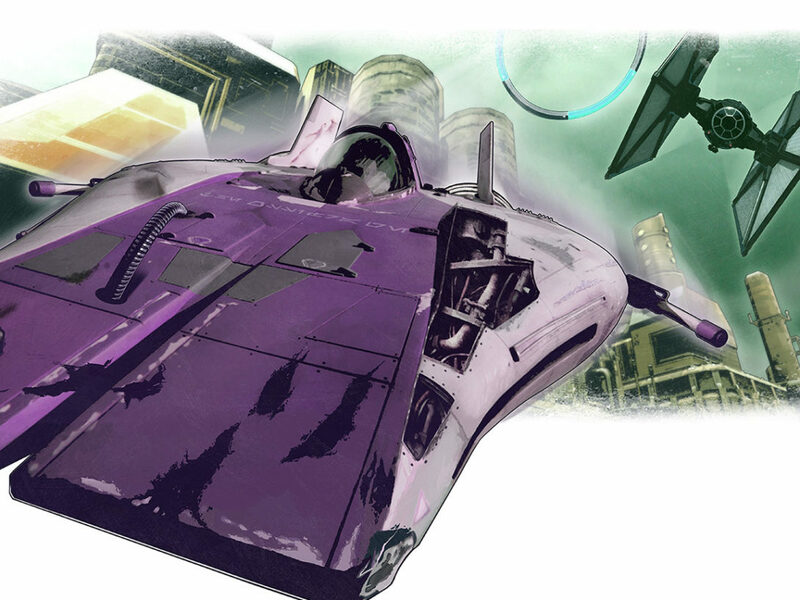 The ship had been refitted dozens of times with the latest systems and weapons, keeping her more than competitive with the newer capital ships now operational. The Devastator thus remained one of the most prestigious commands in the fleet. Montferrat would have been the first to say that he was lucky to be where he was, but it was well known to all who served under him that the admiral firmly believed there was no such animal as luck. He looked up from his reverie to see an excited bridge officer gesturing at a tactical display. Shock was far too mild a word for what the rebel fleet experienced as it realized the partially completed Death Star’s shields were up. But even more alarming was the fact that they were effectively cut off by the largest flotilla of Star Destroyers ever assembled–a mass of ships stretching across the sky. They were trapped. Fox let out a low curse as his A-wing’s com filled with the urgent voices of the other wing commanders asking for instructions. He took in the situation; the main rebel strike force led by General Lando Calrissian in the Millennium Falcon had broken off its attack on the battle station and was slugging it out with swarms of TIE fighters dispatched from the Imperial fleet. Behind them, Star Destroyers were moving in for the kill. Fox’s tactical display looked like a multi-layered spider web of electromagnetic interference. He wasn’t surprised at all when he got orders cancelling the rearguard mission and reassigning his wing pronto. Fox recognized it as the Devastator. The ship that Vader had once commanded. The ship that had killed his family. He gritted his teeth and keyed his mike. Blade Squadron broke apart, then reformed like a flock of birds streaking towards the huge ship in an arrowhead formation. Fox felt his craft swivel seamlessly around him as he lined up on the Devastator. But any hope he had for a quick strike against the massive ship disappeared as two dozen TIE interceptors swept in from the ship’s aft and came at them head to head. Fox watched them rush in on the screens with a sinking feeling. He knew in his heart of hearts that most of his pilots had just barely grasped the techniques needed to make attack runs on a capital ship. And now they were going to have to dogfight for their lives with seasoned TIE fighters. Yet the situation here was the same as everywhere else in the fleet. They were surrounded. It was over. Fox cracked a smile. They might not be able to win, but at the least they would give the Imperials a fight they would never forget. Star Wars Insider #161: 10 Highlights! 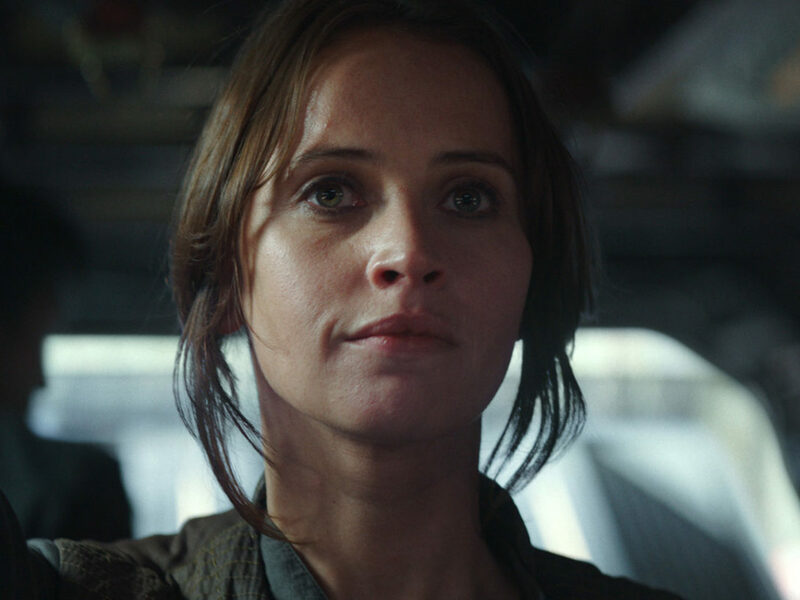 10 Highlights from Star Wars Insider #166 – Out Now!